UnCommon Law is a non-profit law office in California that represents men and women sentenced to long terms or life sentences (“lifers”) at their parole hearings. Their work also encompasses a broader effort to educate and transform the current carceral system which leaves so many individuals languishing in prisons for decade upon decade. For many years, California almost stopped granting parole. Hearings continued, but even men and women who presented compelling evidence that they had been rehabilitated and would be productive members of society were denied parole and remained incarcerated. Because parole is wrapped up in politics, frequently a Governor will categorically deny parole to maintain a reputation of being tough on crime. 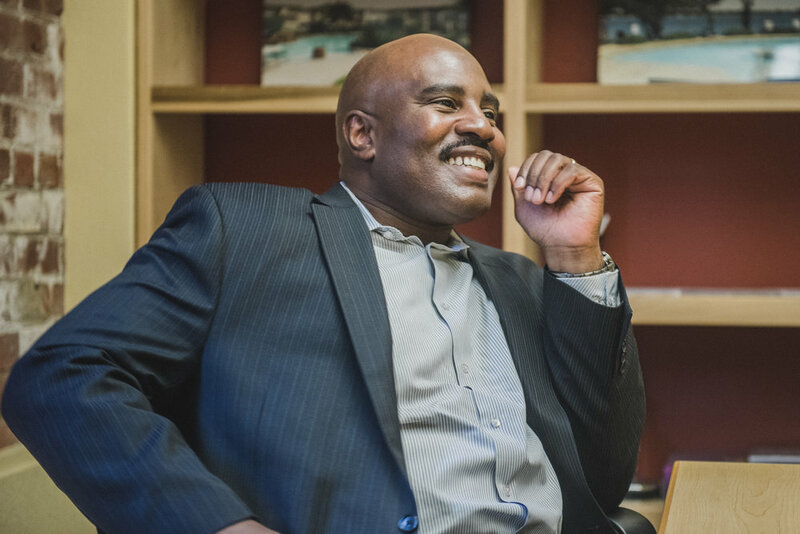 UnCommon Law’s founder and primary attorney, Keith Wattley, works with prisoners to prepare for their hearings and to ensure that they have adequate legal backing and documentation during the process. Law students around California serve as interns to help individuals prepare for those hearings and to confront and acknowledge the impact of their crimes. Of the 150 clients Uncommon Law has successfully represented through parole and release, not a single one has reoffended and returned to prison. 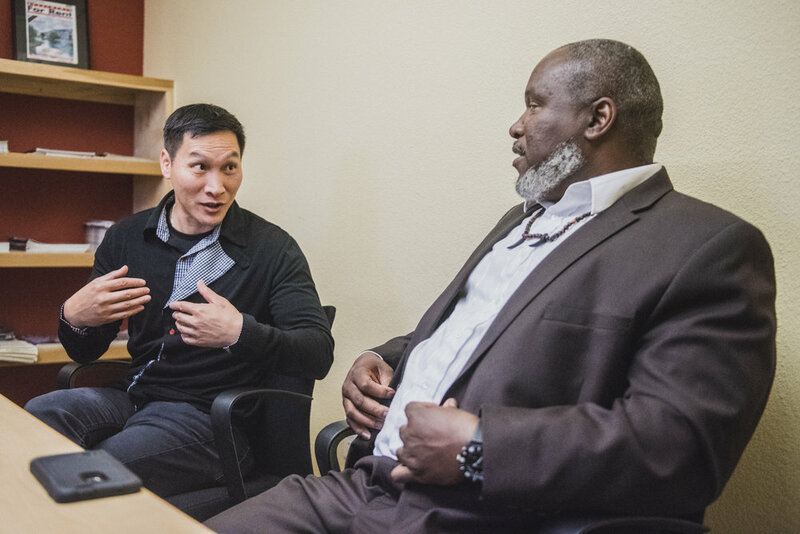 In a system beset by flaws, UnCommon Law has tapped into a process for supporting individuals with long incarceration terms to return to society and remain safe on the outside. Their success proves that it is worth giving people a second chance—even if they are guilty of significant crimes. Unlike the important work of organizations like the Innocence Project, UnCommon Law does not focus on unjust convictions. They focus on people who have committed crimes, who have turned their lives around while in prison, and who are seeking a new place and future in society. Attorney Keith Wattley speaks with Ke, Eddy, and Troy, former clients at UnCommon Law. The three former lifers had a lot to say about why they are successful now that they are out of prison. Troy said that the idea that ‘I might not ever go home’ demands self-reflection, and a long sentence allows time to really consider what this means and decide what to do with that time. All three spoke about their efforts to influence others, particularly young people who are ‘at risk’ to transform their lives and find a more positive direction. Being granted parole is a grueling process, including extensive revisiting of the original crime, in addition to being required to prove that the person has changed his or her life. For many with indeterminate or life sentences, this process can be an exercise in repeated denials. All three of the former lifers spoke movingly about the pain associated with the parole process, particularly for their families. 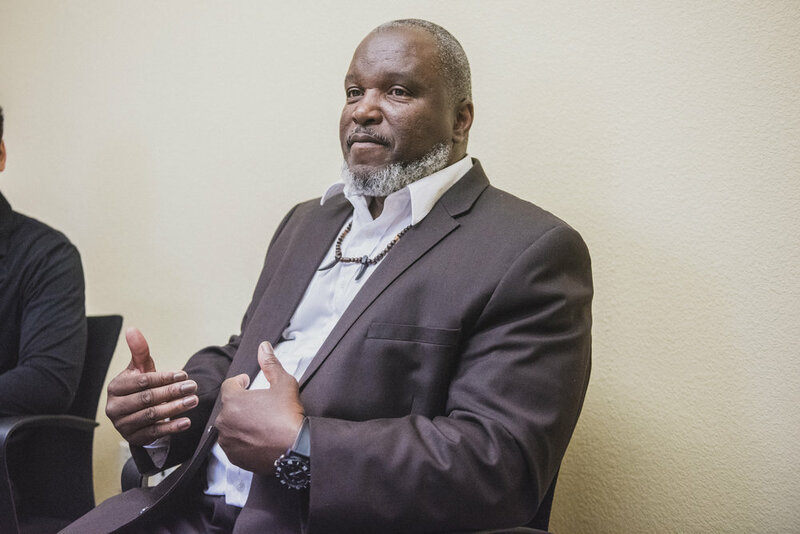 Eddy had an enormous body of evidence that he was rehabilitated, including testimony from Corrections Officers and support from individuals in the community. Despite this, he was denied parole, which he said was felt most keenly by his family who had believed completely that he would be let out and were heartbroken by the ruling. Troy didn’t even tell his daughter the last two times he went before the Parole Board—he was too afraid of the pain a denial might cause her. He said that being denied parole makes people question whether a person has actually turned their life around, no matter how much evidence there is to support their transformation. 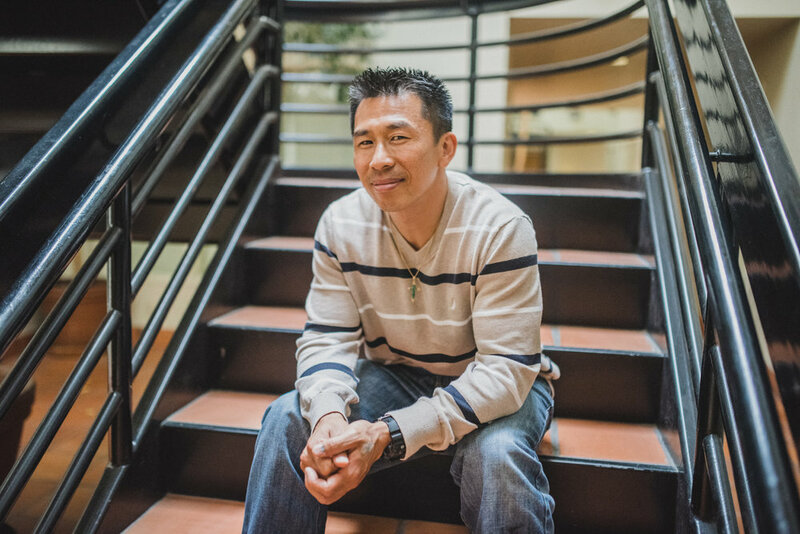 Eddy, a client at UnCommon Law. When we visited UnCommon Law, Ke had been out of prison only three weeks. He had already dived headfirst into life "back in the world," spending time with family and taking advantage of his new freedom--going bowling, mountain biking, eating at a buffet for the first time in his life, and going to a Giants game. He told us he hoped to volunteer as a Little League coach, and that ideally he would find work with an organization like Habitat for Humanity or a community bike shop for low-income individuals. Troy spent 18 years in prison, and was denied parole four times before his successful fifth hearing. He said his greatest hope was to be able to apply his ‘new me’ in the world. He explained, “It’s one thing to not do something because you’re afraid of consequences. It’s another thing to understand the significance of your actions, and make a choice based on that.” He began working with theater groups on the inside, and is now filming for the Marin Shakespeare Company. He hopes to work with at-risk youth in relation to emotional literacy and financial competence, and works with prison education groups to train new facilitators. The fact that UnCommon Law has successfully represented so many lifers, and that they have experienced such consistent success in the difficult process of reentry, suggests hope for the complex criminal justice system. We are enormously grateful for the good that can be done to allow energetic and introspective people a chance to return to society.